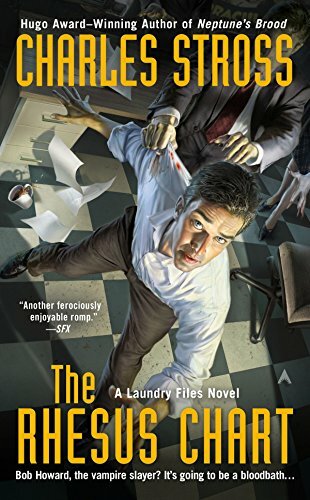 As a newly appointed junior manager within the Laundryâthe clandestine organization responsible for protecting Britain against supernatural threatsâBob Howard is expected to show some initiative to help the agency battle the forces of darkness. But shining a light on whatâs best left in the shadows is the last thing Bob wants to doâespecially when those shadows hide an occult parasite spreading a deadly virus. About: The Hugo Award-winning author of The Delirium BriefÂ reveals the secrets of The Laundry Files in an adventure of Lovecraftian horror and espionage hi-jinks. About: The Hugo Award-winning author of The Delirium Brief reveals the secrets of The Laundry Files in an adventure of Lovecraftian horror and espionage hi-jinks.